Wool and wool products have constituted for many years the main source of export revenue in Uruguay. The importance of the wool industry led wool-growers to create in 1968 the Uruguayan Wool Secretariat (SUL) with the objectives of supporting and promoting the production, processing and consumption of wool. SUL is a private, non-profit organization, of public interest, managed and financed by the Uruguayan woolgrowers through a levy on wool exports. 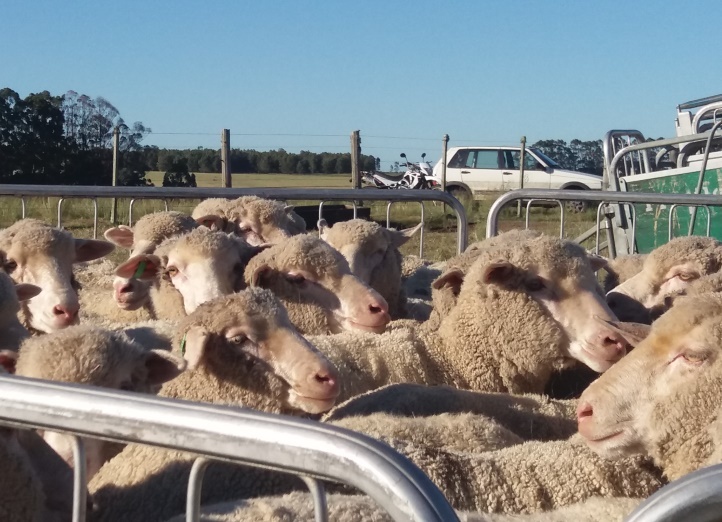 SUL has as its mission to promote a sustainable development of sheep production in Uruguay and to get the maximum economic results of its exploitation. SUL´s main objectives include 1- the organization of activities to promote and transfer production techniques aimed at improving sheep production systems, shearing methods and wool preparation standards; 2- the improvement of the quality of Uruguayan sheep and wool and the expansion of its production through the promotion of scientific research; 3- the promotion of product consumption derived from sheep production in existing and potential markets, both domestic and overseas and 4- cooperate with the government, growers, manufacturers and the trade in general in matters concerning sheep production. In order to accomplish these objectives SUL carries out a wide range of activities which include: applied research in sheep production aspects, technology transfer of new techniques, national sheep breeding evaluation programs (together with INIA), shearer´s and clip preparation training courses, wool and sheep meat market analysis and information. It also operates a wool laboratory servicing woolgrowers, exporters, top-makers with the recognition of Interwoollabs. Services of on farm fibre diameter analysis are also provided with two OFDA 2000 equipments. Uruguay has always placed great emphasis in the implementation of sheep breeding programs. Subjective selection systems, implemented in 1935, were complemented in 1969 by the development of the Flock-Testing Service which included objective measurements of wool traits. They both have ensured than the genetic level of our flocks is not a limiting factor for the increase in production. The Flock-Testing Service is a centralized ram performance recording scheme which is run by SUL and includes most of the more important studs. With this basis, genetic evaluations of main different breeds are also available (www.geneticaovina.com.uy). In general terms, there is a trend among farmers of most popular sheep breeds (Corriedale, Merino, Polwarth, Merilin and Romney Marsh) to produce finer wools with the support of the national genetic evaluation scheme (EPDs) estimated by SUL and INIA (www.geneticaovina.com.uy). SUL also operates its own experimental station (called CIEDAG) in Cerro Colorado, Florida. Special emphasis is being placed in the adoption by farmers of production technology in order to improve the quantity and quality of wool and fat lambs produced, in the development of more strict wool harvesting and handling procedures in order to eliminate contamination and improve the quality of Uruguayan tops. Wool programs are carried out in conjunction with local processors and exporters in an integrated form.